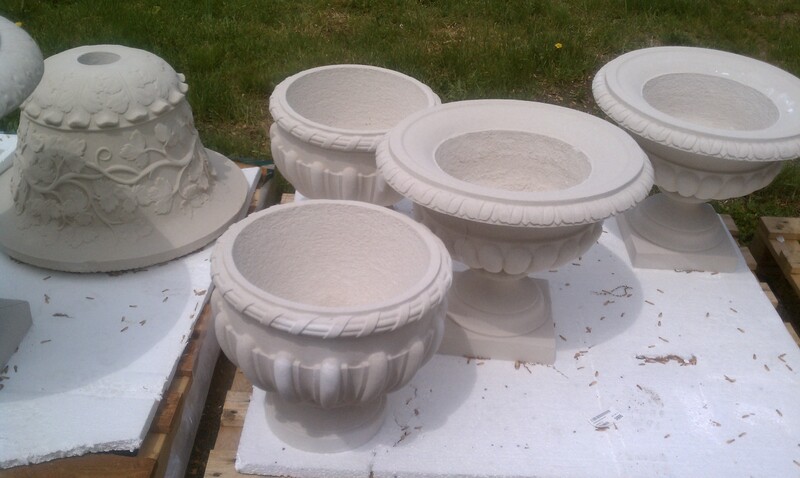 Spend five minutes with Gray Baldwin, the personable owner of New England Garden Ornaments, and you can feel her excitement for cast limestone pots, concrete urns and lead containers from England. Listen to her tell the story of a carved rain spout or finding whimsical statuary and you can’t help but laugh along with her and share her delight in the pieces. On the grassy back lawn, there are pots of every shape and size, garden edging, bird baths and water features. Inside and out, there are great options and ideas for every garden, especially a city garden. “Sometimes when people have little corners where nothing can grow, it’s good to choose some piece of artwork or statue, make it the focal point, and be done with it,” says Baldwin. 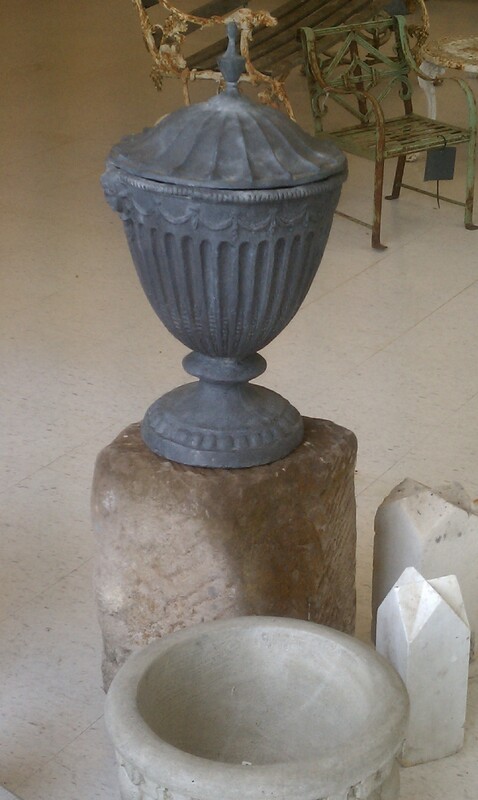 For those with a bit more space and sun, “Make the investment in a good pot, perhaps a tapered planter,” she says. “Just make sure you choose a container that fits the proportions of your space. Think about groupings of three using pieces with different scale. Many of the containers and pots around the shop come from the United Kingdom, discovered by Baldwin during one of her three yearly trips abroad. 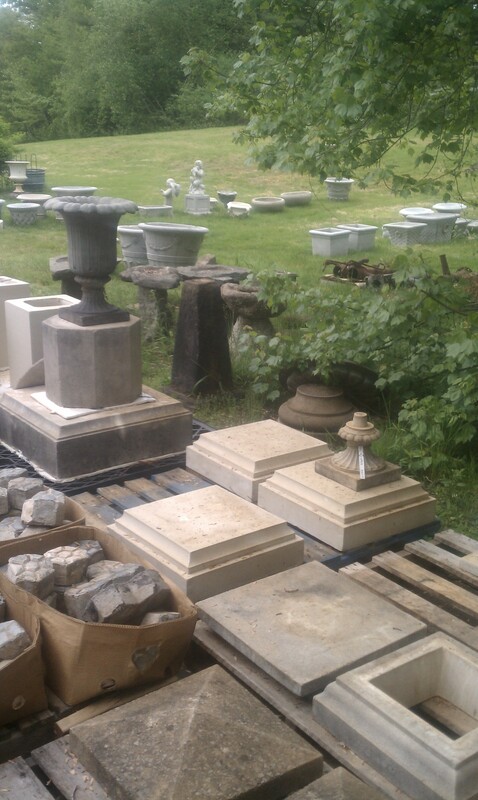 The cast stone and concrete come from the United States. Baldwin explains, “Dry cast limestone is different than wet cast concrete because it is hand packed and doesn’t have much water in the mix, just enough to hold it together. It becomes incredibly porous and can be a host to lichen and moss. 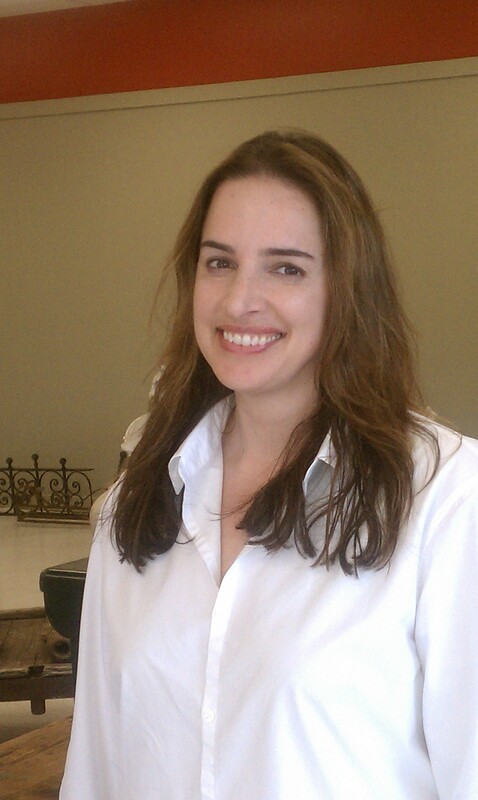 About her business, Baldwin says it’s a great adventure. The unique and classic containers in her showrooms are her top sellers. 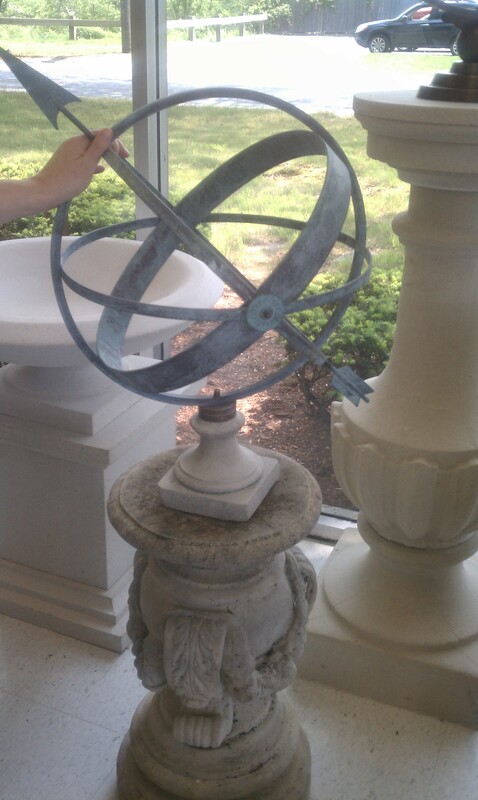 And then sundials go out. “There is a certain attraction to that strong architectural statement. And they look great during all four seasons. 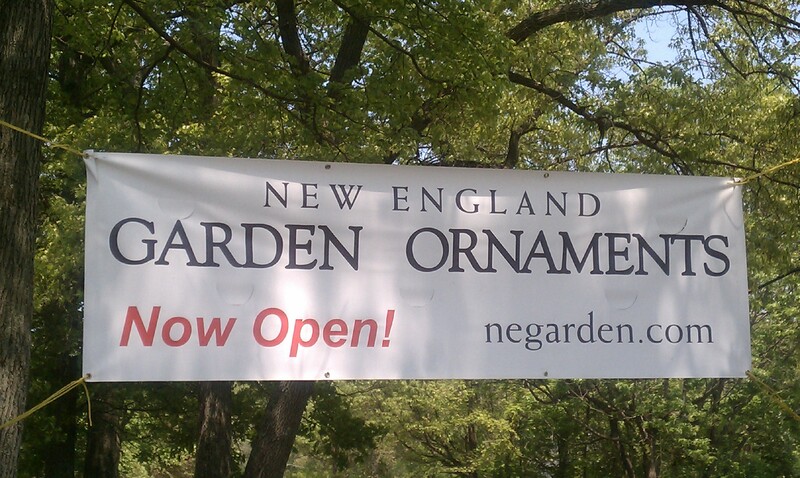 So plan a visit to New England Garden Ornaments in Sudbury and take a look around. New items from Gray Baldwin’s latest trip to England will be in the shop in September. 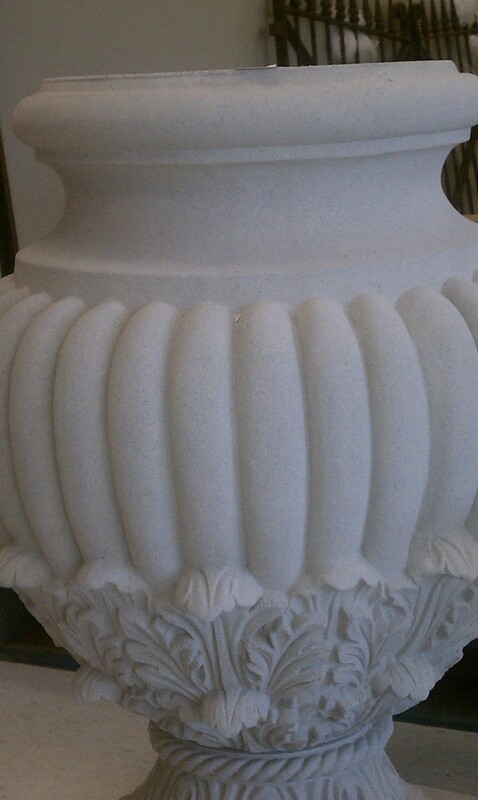 For more about English lead, go to http://www.negarden.com/_blog/Garden_Folly/post/A_History_of_English_Lead/ For details about New England Garden Ornaments, go to www.negarden.com . Wow ! what a creative art.All the container and pot look so classic and unique. 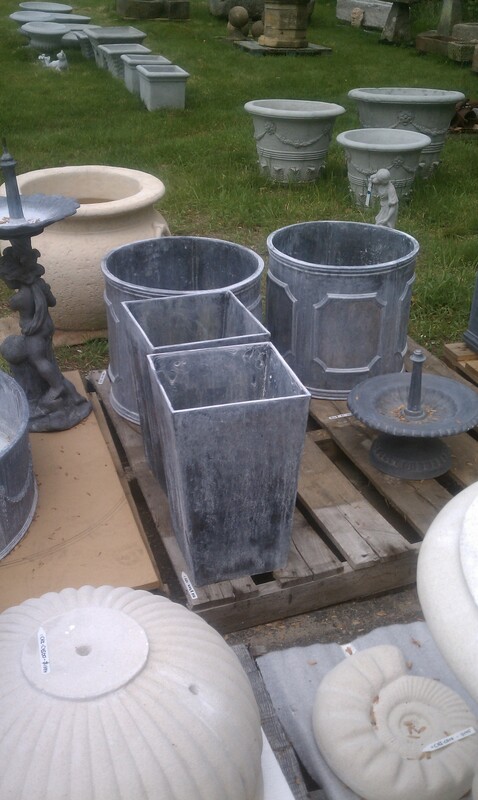 These pots can also use for decoration and planting purpose. So, This blog contain very good ideas and I really like this post. What a informative blog ! This blog really help those which are beginner in gardening and also delivering tips of utilizing space in the garden . 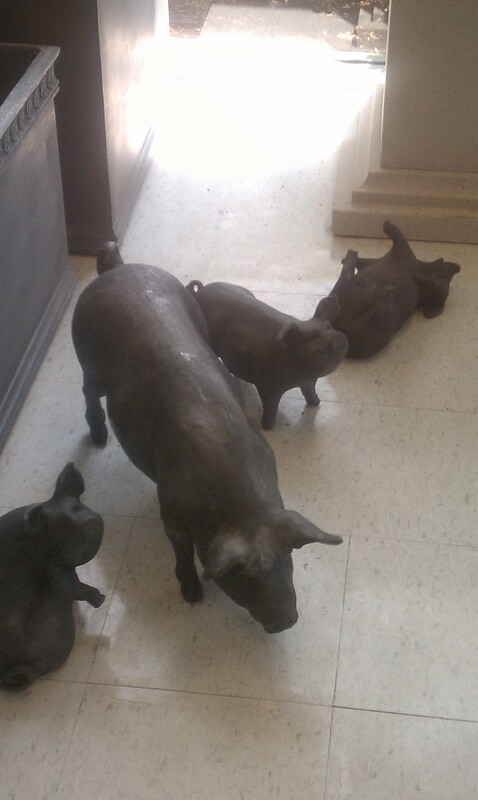 All the flower pot look so wonderful and really useful garden ornaments for a garden.